Kevin looked at my work, an ashcan of a story game about Renaissance Game of Thrones, and then to me, his eyes sympathetic but unyielding. “B-but, I need every part! Each rule is so beautiful!” I cried. How could he criticise my work so? How could he not appreciate the elegance of 15 interlocking mechanics and the resultant story they would no doubt produce? 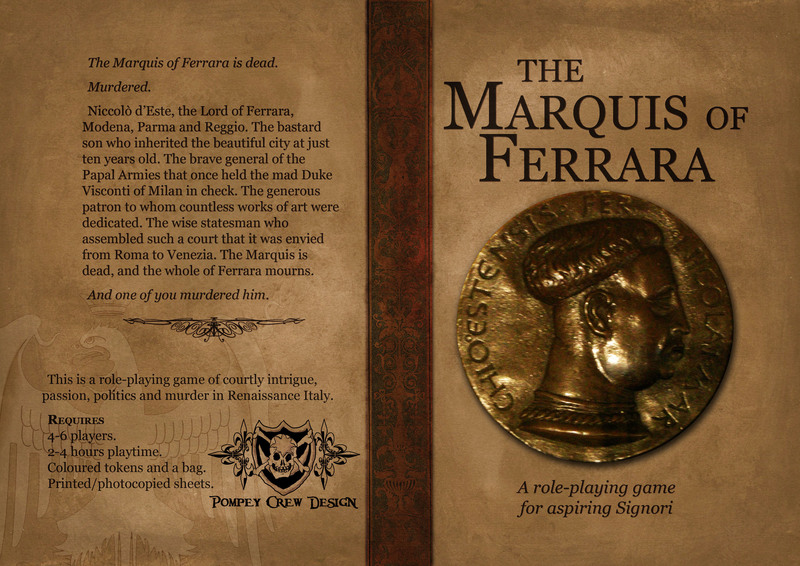 Following the success of Witch and a fantastic Indiecon, the Pompey Crew is finally ready to release our new game, the Marquis of Ferrara, for the benefit of all noble signori! So, if your heart soars at the prospect of engaging in the passionate politics and murder of Renaissance Italy then grab the game here today! In addition to the print copy, the electronic version contains both a PDF and an EPUB of the game, for eBook and tablet users! Any comments or questions? Just throw up a comment! Return from Indiecon (and the UKRPDC stall)! 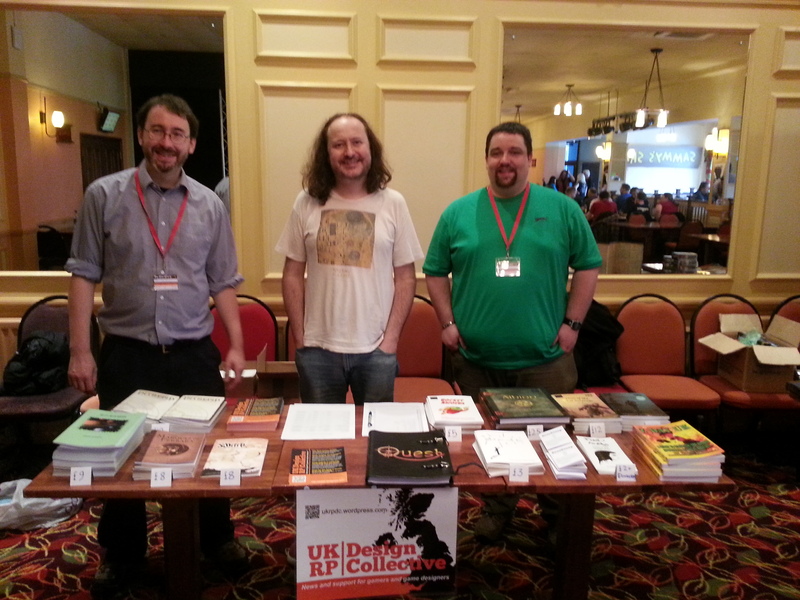 Behold, t he UKRPDC stall at Indiecon! +Tim Gray of Silver Branch Games, giving us his unique take on traditional fantasy with Jaws of the Six Serpents and Albion. +Leo Marshall of indyhippo, bringing to us some cosmic frat boy partying in Sci-Fi Beta Kappa. Marquis of Ferrara proof copy GET! 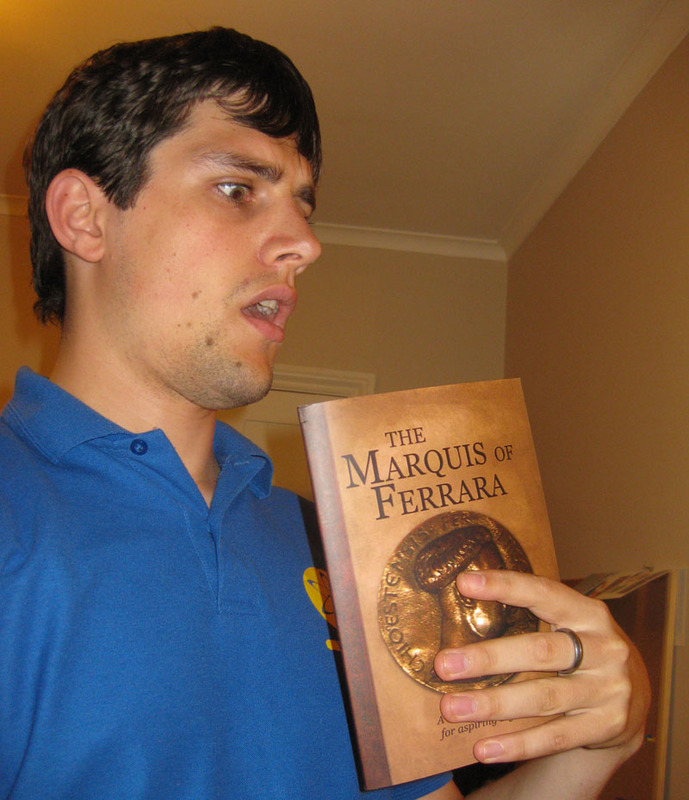 So I have the proof copy of the Marquis of Ferrara! Here it is! We’re using Print-and-Publish.co.uk (the same company we used to print Witch). The book seems solidly bound and everything’s crisp and clear. Great! 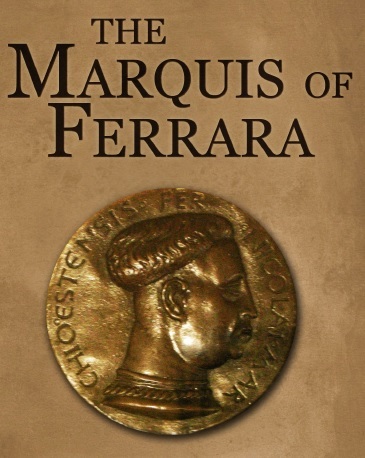 The Marquis of Ferrara has gone to print! My name is Lorenzo d’Este. You killed my father. Prepare to die! Pompey Crew Design‘s game of passion, politics and murder in early Renaissance Italy has been sent off to the printers! Clicky here for more details about the game itself. This is one of those games which has been in development for far too long. It originally started back in 2008 as a tactical duelling simulator for swashbuckling action, and then as I learned more about the era, I fell in love with the backstabbing and the drama. That whole duelling system has gone (even though it was amazing, and based on principles described in Fiore de’ Liberi’s medieval martial arts treatise ‘The Flower of Battle’, with attributes like… Actually, write me a comment or read here if you want all this), but hopefully that swashbuckling spirit is still there. After some big shifts thanks to Indie Pete (Richard D. Evans) and Kevin Barthaud, I approached the idea from a more story game angle with ideas from Love in the Time of Seið and Mist Robed Gate. A couple of playtests and a whole lot of procrastinating later (during which time Witch was developed and released) and here we are.